mAh per display square in. 262mAh/sqrin. 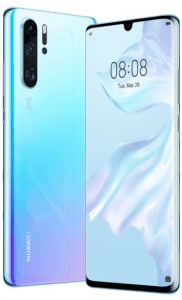 The Huawei P30 Pro comes with a 512GB maximum internal storage memory, whereas its P30 sibling only offers a 128GB capacity, and it touts a 32-megapixel selfie camera, giving it one of the highest front cam resolutions as of its 2019 Q1 market entry. 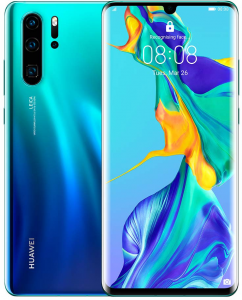 That being said, it is one of Huawei's first models to rock a Leica Quad Camera, which includes a whopping 40-megapixel main lens and a TOF cam for 3D photography. Specs-based Pros and Cons The P30 Pro might have settled for a 1080p-only 6.5-inch display, but specs like a quad camera setup and a 32-megapixel selfie cam still make it a strong flagship-class model. Click through for our thorough review of its pros and cons. (more) New Huawei phones View all the newest and upcoming Huawei phones.